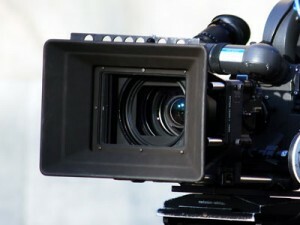 Shoot, edit and produce news videos, radio programs, and corporate videos. Savvy with Final Cut Pro and Avid video editing software. Helped lead the conversion of Gannett’s Florida Today from a daily print newspaper to a 24/7 online news organization in 2006 and 2007. As multimedia editor, I trained dozens of journalists how to capture and edit video and audio. I played a key role in Florida Today being chosen as the #1 Gannett news operation in 2006-07 because of its innovative use of video, hyper-local news, and multimedia stories. While with Florida Today I also covered breaking news, such as drug raids, fires and hurricanes. Earned a master’s degree in digital video production/documentary filmmaking with highest honors from the University of Florida in 2005. As a graduate student, I taught video/audio editing to undergraduates and teachers. My first documentary, 24/7, the battle for at-home care for people with development disabilities, won several awards, including the 2006 International Freddie Award, the top award for health and medical films. Video and audio work also includes writing and producing videos for Apple, HP and others; co-producing a national science news show for public television; hosting news and jazz radio programs; serving as second assistant director for an independent feature film; and being the production assistant for the 50th Anniversary of the War of the Worlds, which was nominated for a Grammy award. For example, for Apple’s FileMaker Pro 30th anniversary, I was asked in 2017 to select from a library of Voice of the Customer videos and create a dynamic 1-minute video for its worldwide celebration. I edited a six-video report about a Christian organization called Teen Missions International, which trains teenagers to preach in Zambia while providing shoes to children. The shoes prevent life-threatening diseases and allow students to attend school. In exchange, Zambian children participate in the mission’s faith-building activities. In 2006, many Zambian villages were devastated by AIDS, which orphaned 710,000 children. High school students were trained at a religious ‘boot camp’ on Merritt Island, Florida. They traveled to Zambia with hundreds of pairs of shoes and flashy motorized bikes, which evangelizing teens would ride to attract villagers’ attention. The reporter, who shot the video, was not a trained videography and simply turned on the camera and recorded scenes. Wireless Coyote 1992 Apple, Inc. While a member of the Apple Classrooms Of Tomorrow (ACOT) research team, I wrote and produced a video about students and teachers experimenting with the use of the first mobile computers connected by a wireless local area network and a wide-area network. The experiment involved 21 sixth graders, four teachers, a naturalist and the ACOT team. Students ‘learned science by doing’ from a Tucson, Arizona desert using prototype mobile computers and wireless connections to student teams scattered in the desert, their Tucson school, and a sister school in Minnesota. I directed a videographer to capture the ‘aha’ moments of real discovery. I produce a video that shows how technology changes learning and teaching. Besides catalyzing new dialogue about how technology supports discovery science in schools, Wireless Coyote convinced the U.S. Federal Communications Commission (FCC) to allow computer companies to use radio frequencies to transport data. I wrote and produced 17 and 7-minute versions of Wireless Coyote. I earned an Apple Hero Award for this film. The 7-minute version is to the left. I also wrote and produced a sequel Apple video, Cloudforest Classroom.